KC Mega Match is back this weekend! Kansas City’s biggest adoption event is back and bigger than ever! 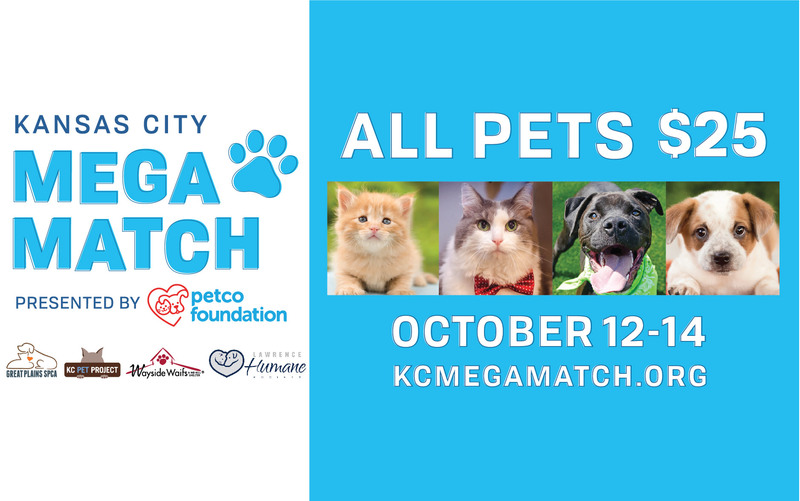 KC Mega Match will be from Friday, October 12th through Sunday, October 14th at all KC Pet Project locations plus Great Plains SPCA, Wayside Waifs, and, new this year, Lawrence Humane Society. All pets at all of these adoption agencies will be $25 during the three day event, presented by Petco Foundation. To view all adoptable pets, locations and event hours, head to www.kcmegamatch.org. Let’s get the word out so we can reach our goal of adopting out 1,000 pets during this amazing event! To download a PDF map of all of the KC Mega Match locations, click here. 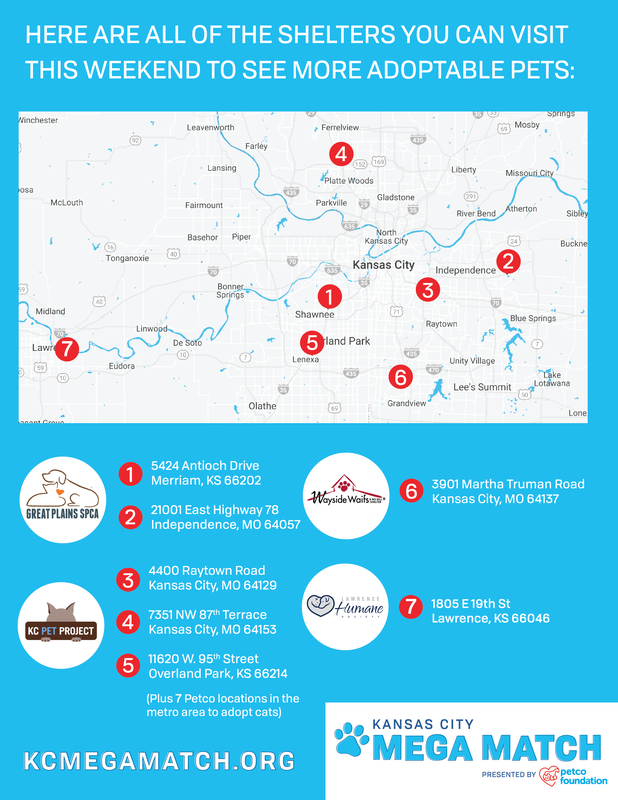 To see all of KC Pet Project’s Petco Cat Habitat locations, click here. Scary But Cute Cuddle Party! Howl-o-ween Adoption Special THIS Weekend!